HOLYOKE, Mass. – Over 650 people gathered at the Log Cabin in Holyoke, Mass. on May 16 to celebrate true diversity through fashion at a fundraiser for Unify Against Bullying. Students of all shapes, sizes, styles, ethnicity, sexual orientation and physical ability from 30 different schools in Mass. and Conn. strutted their stuff at the non-profit’s third annual Fashion Show, presented by Robert Charles Photography of East Longmeadow. “Through the show, our goal is to help students see that it’s important to celebrate our differences – rather than step back from them. What makes us each unique is ultimately what makes us stronger as a community.” says Edward Zemba, President of Unify Against Bullying. This year’s event raised over $56,000 towards their anti-bullying initiatives. Greta Salóme, Icelandic performer, joined the students on stage for a moving performance which portrayed an example of dealing with bullying and what it takes to rise above it. During the skit, she performed her song, “Hear Them Calling,” which she sang in the finals of Eurovision in 2016. “The song is about listening to the positive voices within,” said Salóme. Having dealt with bullying in her own life, Salóme was inspired to join the Unify movement after hearing of the worldwide #UnifySelfieChallenge in 2016. The social media campaign began with a challenge to gain participation from 50 states and 50 countries within a 50-day time span, which the organization accomplished thanks to help from public figures like Greta. Watch At Minute 55 as she steps in to share her magic! While in the United States, Greta plans to visit local schools to speak on behalf of Unify Against Bullying. She hopes to use her experiences to help educate today’s children that our differences are what make us unique. Her message is aligned with the non-profit’s in that she wants to empower students to make smart choices and embrace diversity. Also performing at the Fashion Show was local high school student, Kenny Roche, who uses his background in performance to create viral music videos about ending violence, accepting diversity and bringing an end to bullying. Kenny debuted a new song with a focus on anti-bullying that he created for the show. His original single, “Stop the Violence,” became a viral sensation earlier in 2017 with over 950k views on Facebook. Unify Against Bullying also celebrated its first national partner for this year’s Fashion Show, Paul Mitchell’s new hair care brand, NEON. The mission of Unify Against Bullying is to bring an end to bullying through the celebration of true diversity. Unify intends to accomplish this goal through providing grants to those who are in the best position to make a difference; children, parents, teachers and administrators. These are the unsung heroes who are on the front-lines of bullying each and every day. Through providing them with funding and resources, the children of the world will see; the days of ignoring bullying are over. Instead, we are in a new era where we celebrate our differences and come together as one community. That is why the Unify motto is; when we stand together, we stand as one. For more information on Unify, or to make a donation, visit http://www.UnifyAgainstBullying.org. The Friendeshans are SOOOOOO EXCITED about this awesome sharing of Pozzi-Power by UnifyAgainstBullying.org! HOLYOKE, Mass. – Unify Against Bullying will hold its third annual sold-out fashion show fundraiser, featuring performances by Icelandic pop star Greta Salome and Holyoke High student Kenny Roche. *Press Passes will be available at the registration table inside the Log Cabin. Show your credentials to receive a complimentary All-Access Pass. WHO: Student models from more than 30 schools across Massachusetts and Connecticut, including two musical performers, Icelandic pop star Greta Salome, Holyoke High student and rap artist, Kenny Roche. The Kids of Unify Against Bullying will challenge Ellen DeGeneres to participate in the social media phenomenon called the “Unify Selfie Challenge” live from stage at 6:45 p.m.
WHAT: The Unify Fashion Show is dedicated to celebrating kids of all shapes, sizes, styles, ethnicity, sexual orientation and physical ability. The event sold out 7 weeks early with over 650 guests. It will be broadcast live on Facebook & UnifyAgainstBullying.org starting at 6:45 p.m.
WHERE: Log Cabin, 500 Easthampton Road, Holyoke, Mass. 7 p.m. – Fashion Show and Performances in Grand Edna William Ballroom. Presented by Board Members Susanna Zemba, of Robert Charles Photography and Michael Sakey of Center Square Grill. WHY: Participating Performers, Students, Board members and Grant recipients will be present for interviews. 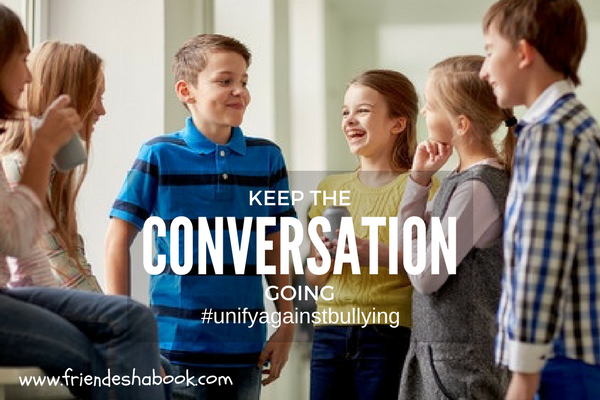 In 2017, Unify Against Bullying has issued $10,000 in grants to students, parents and organizations dedicated to bringing an end to bullying through the celebration of true diversity. A Pozzi Power Phenomenon is happening. 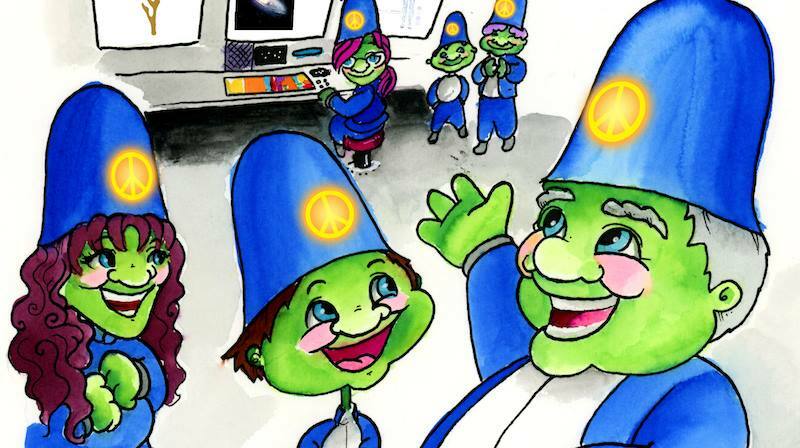 During the Friendeshans last visit to planet earth, they were happy to see the Pozzi Power being spread by their new friend #UnifyAgainstBullying. They have returned now to JOIN their UnifyAgainstBullying.org friends to help spread the news about their upcoming Fashion Show! On March 13, 2017 the Friendeshans will join their friends at Unify as they hold their 2017 Unify Launch Party at Blake Commons at Bay Path University March 13 at 5:30 p.m. This invitation-only event will feature the official opening of ticket sales to their 2017 fashion show. The fashion show is Unify’s number one event to raise funds for scholarship and grant monies to be awarded to individuals who make significant contributions in anti-bully and self-esteem awareness. This year’s Unify Against Bullying Fashion Show is scheduled to take place on May 16. Get a sneak peek and check out the highlights from last year’s event. Spreading Pozzi Power through scholarships. Mitchell Knowles, a Ludlow High School guidance counselor who is developing a program to educate bullies about the effects of their behavior on others. Patrick Ireland, a Longmeadow educator who teaches classes focusing on building self-esteem, educational enhancement, and kindness through noncontact self-defense. Matt Walting, a high school student from Wilbraham who is producing a film about a student who is a victim of bullying and abuse at home and at school. Taylor White, a high school student from Westfield who was in the Unify Against Bullying Fashion Show last April, and Justin Comtois, an Agawam High School student who plans to make a short film on bullying both received $250 grants. During the Friendeshans last visit to earth, they discovered Unify Against Bullying! Their mission is “To bring an end to bullying through the celebration of true diversity.” The Friendeshans took to this group immediately. As part of spreading Pozzi-Power – the Friendeshans are sharing the Unify Against Bullying Pozzi-Message! What is Unify Against Bullying? A few years ago Edward and Robert Zemba discovered a need for an anti-bully group in Western Massachusetts. They were surprised to learn that one did not exist. They discovered there were multiple small efforts, but no one particular charity dedicated to helping the kids of Western Massachusetts deal with bullying. The this was hard to understand, considering the fact that Western Massachusetts had lost some of its children to suicide over the pain caused by bullying. It was at this point that they turned to fellow parents, local business leaders and students to explore the possibility of forming a new charity. A few months later, Unify Against Bullying was born. When we stand together, we stand as one. If your kids are already talking about the FriendShip Friendesha keep the conversation going with some of these talking points! After reading the story again, together, ask some questions. Is there anyone at school that reminds you of an Oily Spoily? Have you ever felt like an Oily Spoily squirted you? Is there anyone at school that makes you feel mad, bad, or sad? What do you think you should do to someone who acts like an Oily Spoily? What are some reasons that someone might be acting that way? Use the conversation as a way to get your child to feel comfortable talking about his or her problems with you. Gauge the level of distress being caused by classmates, and take action if need be, but remember: the Friendshans are all about giving children healthy, respectful, and positive ways to deal with negativity in their lives. Empower them to fight negative energy with positive energy! The Friendeshan’s FAVORITE Day of the Year! In honor of the National Hugging Day, the Friendeshans would like to share these notable FACTS about hugging! Hugs improve our game! Scientists at University of California, Berkley discovered that the more affectionate members of a team are with each other, the more likely they are to win! Want to do something for future generations? Hug them when they’re still little. Hugging your partner will help you BOTH strengthen your relationship. In honor of our FAVORITE DAY – please SHARE a (((HUG))) with those you come across in your day today! My name is Christy Little, there are a few roles I play that are connected to this conversation. I own and operate a child care center, I hold the Secretary position on the Board of Directors of Unify Against Bullying. I work to connect the mission of Unify with young children in our communities. My program, Little Bear Learn & Care offers care to families with children ages 6 weeks to 5 years. I was very excited to read the “Friendeshan” stories to our preschoolers! I have to say, I was pleasantly surprised by the reactions of the children to the story. I’ve read the first one, and we’ve already read it a few times; they ask for it often. The kids are fascinated by the “good vs bad” theme, and I can see the empowering feeling they get when the Friendeshans share the “Pozzi-Power”! A few of them like to role play and use their magic wands to shoot out “pozzi-power”. The visuals are colorful and expressive. I see the children fixate on the “oily spoilies”, and how the pozzi-power cleans it up! This is a very simple yet powerful lesson presented a very fun imaginative way. I just downloaded the second story and I plan to read it today. I am thrilled to see your anti-bully message on the Friendeshans website. The more I read, the more I can see the same mission coming into play with both Unify and the Friend Ship Friendesha stories. As the Chair of the Youth Outreach of UAB, I think we might be able to include these stories in community family activities. I have already shared the information with our parents and encouraged them to check out the books! Director/Owner, Little Bear Learn & Care, Inc. Beyond the emotional distress of being bullied, many are subject to physical pain. In many instances, bullying can escalate to physical pain being inflicted on the victim. The young boy on the school bus who was pummelled by bullies as others cheered on and subsequently endured a broken jaw – to the girl who was forced to eat sand after her head was pushed to the ground. VERBAL BULLYING – saying or writing mean things. SOCIAL BULLYING – involves damaging someone’s reputation or relationships. PHYSICAL BULLYING – hurting a person’s body or possessions. CYBER BULLYING – use of electronic technology to bully. Rumors posted on social networking sites. Posting embarrassing pictures or videos. Setting up fake accounts in victim name. Verbal, physical, and cyberbullying all have long term effects on the personality and esteem of the individual being bullied. The person being bullied may struggle with depression, anxiety, trouble sleeping and eating, loneliness, and decreased achievement in school. Oftentimes, the effects of bullying will continue into a victim’s adult life, leading to increased drug abuse and decreased social stability. Many who have been bullied tend to keep the abuse a secret, because of shame and embarrassment or fear of further pain they may suffer as a result of speaking out; thus, the bullying persists. Bullying is often dangerous for the well being of the bully and the bullied. The effects of bullying can also be dangerous for bystanders, those who stand by and watch without interjection. Bystanders face peer pressure and are afraid of showing vulnerability; therefore, they refrain from doing the right thing and stepping in. 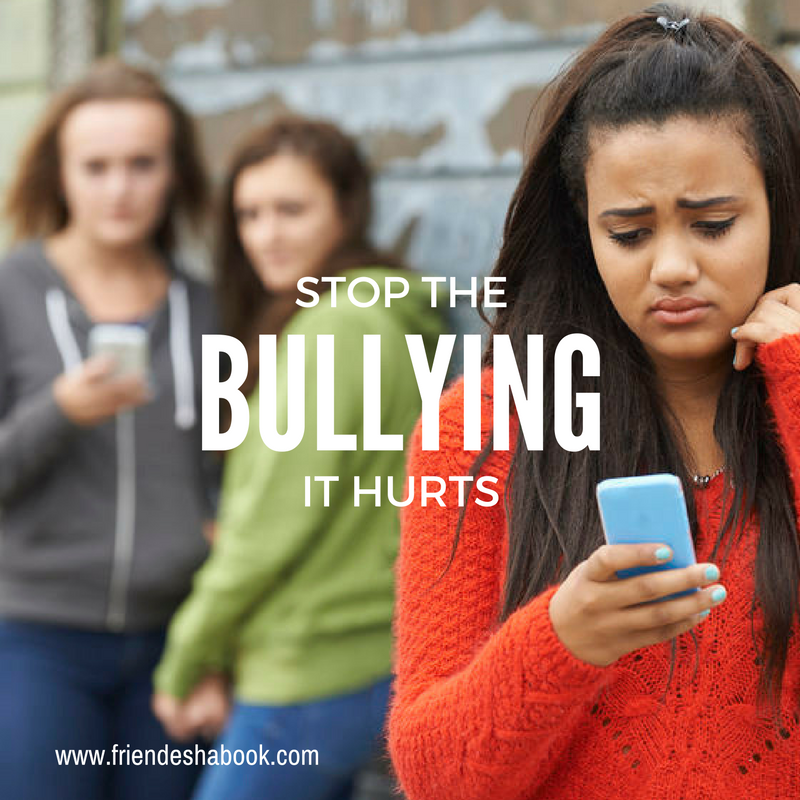 For starters – where bystanders are concerned, both those being taunted and those who are taunting, it is important to set the standard from early on that bullying cannot be tolerated. Schools and communities can help protect children against bullying behavior by emphasizing their respect for diversity. Aside from bringing awareness and offering useful information to identify and prevent bullying, the Friendeshans often search the galaxy for organizations that support anti-bullying efforts. This weeks journey lead our loveable race to UNIFY – a non-profit organization who “pledge to bring an end to bullying through the celebration of diversity”. There are countless children waging quiet battles against bullying. Many believe that they are alone. Unify Against Bullying wants these children to know they are far from alone. They are supported by a loving, caring community of fellow students, teachers, parents, brothers, sisters, business leaders and others. Wake up with the WHOM Morning Show this Thursday! 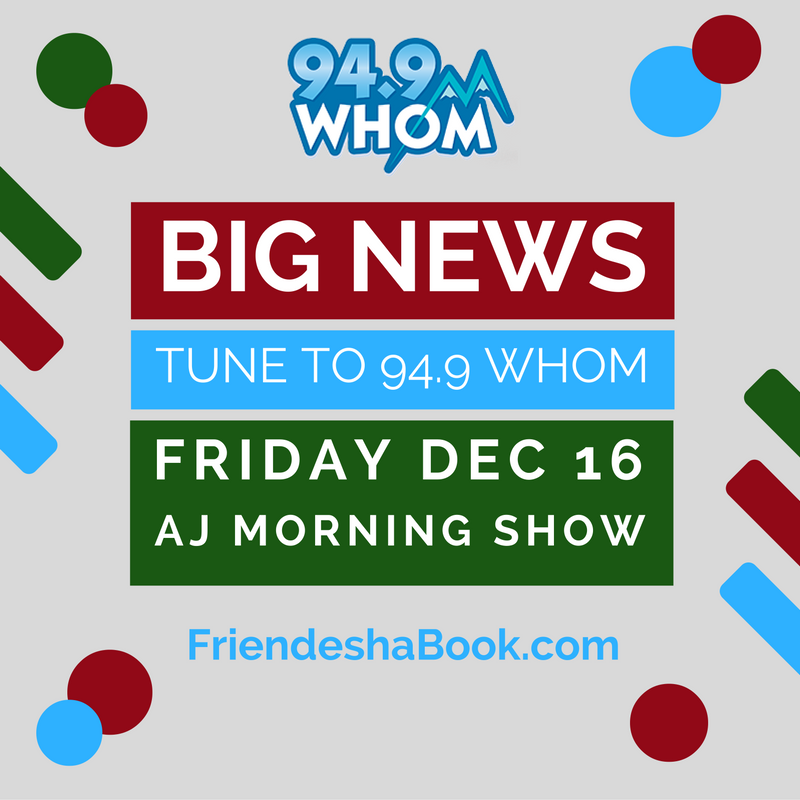 Join AJ on your morning commute this Friday, December 16 when he interviews author Joe Scott. It is sure to be an eye-opener! Learn the meaning behind the Friendeshans as they travel the galaxy to spread and share their positive energy. 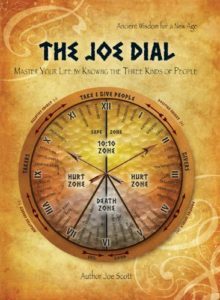 Author Joe Scott has taken his own life-experiences and shared his lifelong lessons in his book, The Joe Dial. The Friendesha book series is an extension of the theme of living positively – geared for children. As the owner of a successful multi-million dollar construction company, Joe has employed thousands of people over the years. As an employer, Joe has been able to study people of all nationalities, races, cultures, creeds and economic class in situations that have brought out the best and the worst in people. It is from these encounters that he has been able to distill a few basic truths about human nature. Truths that have been papered over by layers of abstract and misinterpretation. Politically correct in today’s economically rich vs common-sense poor have collided and things have become distorted. Basic laws of human nature that he hopes to restore in the Friend Ship Friendesha books. The Friend Ship Friendesha is Joe’s way of helping children navigate through the complicated, media-saturated, politically manipulated world we now live. The lessons taught in the book series are intended to teach our children simple, truthful rules that they can keep in their back pockets for when they need them in life. After enjoying the interview, be sure to check out the Friend Ship Friendesha website and enjoy a SNEAK PEEK at the books. 94.9 HOM is Maine and New Hampshire’s Official Christmas Music Station!” Home of AJ & Nikki in the Morning. After the holidays, they feature the best variety of the 80’s 90’s and today! Online at 949whom.com. Welcome to the Friend Ship Friendesha! The Friendeshans spread friendship and positive energy throughout the galaxy! In his first book of an inspiring new series, the Friendeshans encounter the Oily Spoilies, creatures that thrive on meanness and negativity. What will happen when an Oily Spoily spy gets aboard the Friendeshans’ ship? As the series unfolds, the Friendeshans will travel to Earth, where they will work their pozzi-power on our planet, unseen by humans. For any child who has ever been bullied or picked on, the Friendeshans are like loyal, invisible friends they can carry with them in their imaginations. With the Friendeshans around, every child has a friend! Check out a SNEAK PEEK of our book series now! Enjoy! Feeling stuck or unhappy in any area of your life? The Joe Dial supplies the missing key that will get the gears of success turning. You'll quickly become a better spouse, a better parent, a better team member, a better leader, and a better friend. Joe Scott is a major developer and contractor in the Merrimack River Valley, and also an acclaimed author. His first book, The Joe Dial, received glowing reviews for its perceptive take on human interaction, and the role of positive and negative energy in relationships. 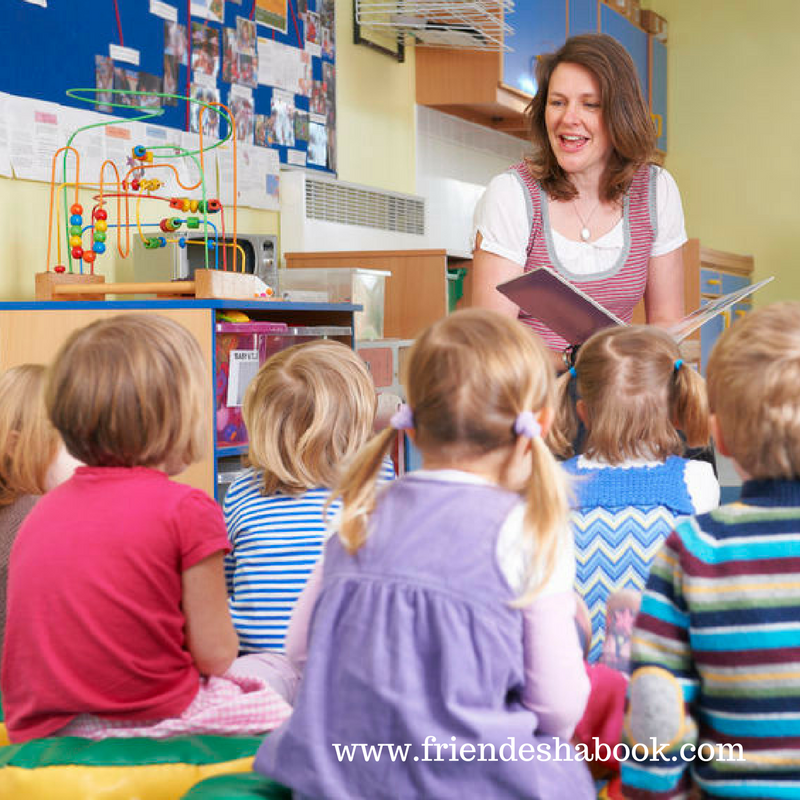 His new series, The Friend Ship Friendesha, introduces many of the same lessons to children ages 4-8.